LaLuna has a secluded location along Magazine Beach, Grenada. 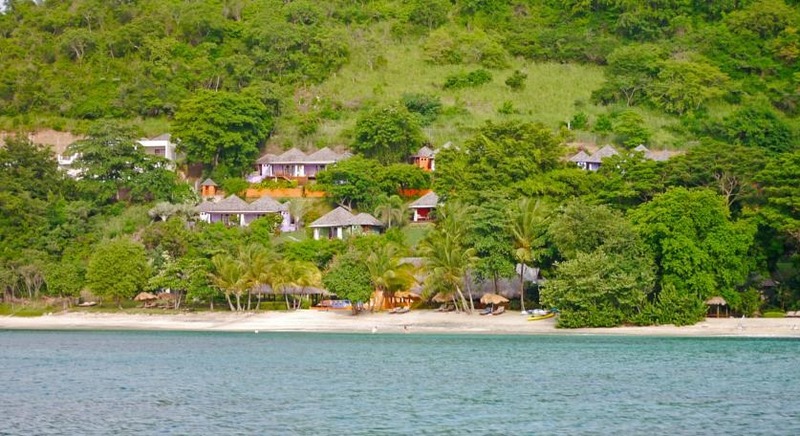 Laluna is a resort set on a secluded beach in Grenada. Surrounded by hills, it offers boutique cottages with private plunge pools, an Asian spa and a restaurant. LaLuna caters to adults — no kids under age 12 are permitted. Each air-conditioned cottage at Laluna has a small terrace with Caribbean Sea views. All accommodations feature attractive wooden furnishings and high ceilings. There is free Wi-Fi, a flat-screen TV and a minibar. Guests can enjoy an American breakfast in Laluna’s restaurant, which offers Italian cuisine for dinner. There is also a beachfront lounge and bar with Indonesian-style loungers. The hotel’s spa features Vichy showers, a tea bar and a library. It offers a range of treatments, including massage, facials and aromatherapy. Grand Anse Bay is a five-minute drive away. Fly into Maurice Bishop International Airport (GND), formerly known as Point Salines International Airport, in the parish of St. George’s, Grenada. LaLuna is located less than ten minutes from the airport, and transfers are available for a fee. Visit LaLuna Resort’s website for more information.